Thanks to Dave Rowntree for many of the player images after 1984. Shaw was born in Newcastle-under-Lyme in Staffordshire and served his youth career with Stoke City before signing professional terms in 1985 at the age of 18, under Mick Mills. In a four-year spell at The Victoria Ground, he scored 18 goals in just short of a century of appearances, but was unable to establish a clear first-choice place. The Potters accepted a £70,000 offer from Preston North End, which marked the start of three years at Deepdale, including four goals in his first six games and a hat-trick against Tranmere Rovers in the League Cup. After 121 games and 29 goals for The Lilywhites, he was given the chance to return to The Victoria Ground in a part-exchange deal that saw Stoke's former Preston striker Tony Ellis complete the same return in reverse. In his second spell for Stoke, Shaw made 38 appearances over three years but was often afflicted by a troublesome back injury. He was loaned to Argyle in 1994 but failed to register a goal in his time at Home Park and was on the winning side just once. He left Stoke permanently when Rochdale signed him on a free transfer in March 1995. 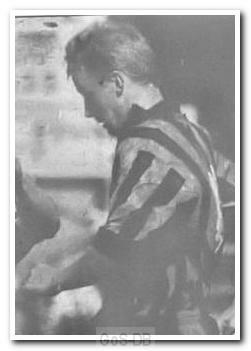 In little over a season at Spotland, he played 22 times and again failed to score. With the back problems persisting he spent a short period with Leek Town before retiring before he had reached 30. With the PFA's assistance he studied at Staffordshire University and became a qualified criminal lawyer before taking up practice in his hometown as a commercial sports solicitor. In August 2010 he was unveiled by a consortium planning to take over Port Vale as their intended Chief Executive. The take-over did not materialise, but in April 2011 the Port Vale board appointed Shaw as their new CEO.